Knowledge of technical terms, regulations. Proposition making for work plans, development strategies, related managerial reports. Ability to participate in institutional budget making, economy of public collections, book-keeping. Considering environmental and sustainability issues. Participation in institutional communication, client relations, project management. Performance and quality control system establishment and operation. 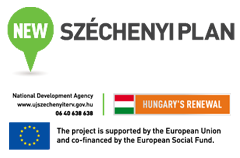 The aim of the training is to present the notion of sustainability, its interpretations, and the related most important social issues, underlining the importance of sustainability on the level of the employed individuals and SMEs with special regard to the learning and interpreting the notion of environmental awareness as well as to the environmental awareness management usage from the point of view of SMEs.